« My Earth Day Request: Cut the Anti-paper Greenwashing! 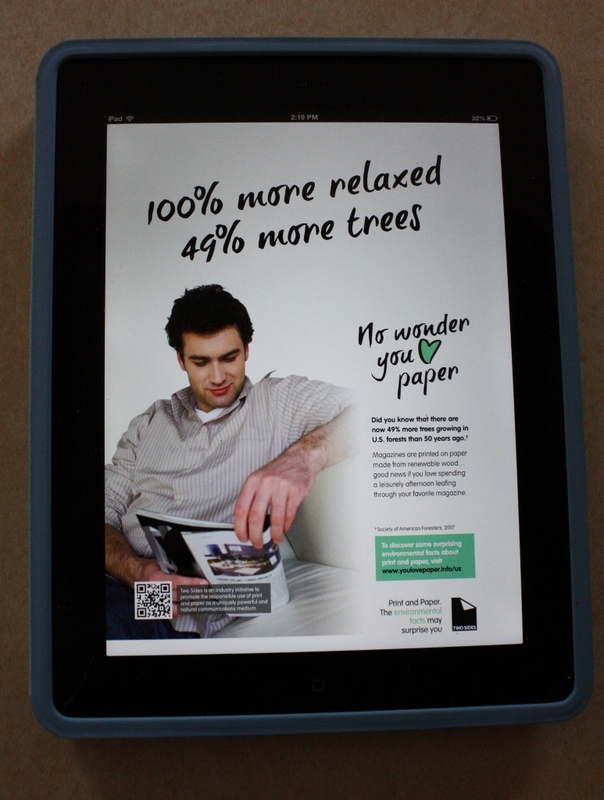 Two Sides “No Wonder You Love Paper” Ad Runs in Inc.
What better way to emphasize the value of print and paper? 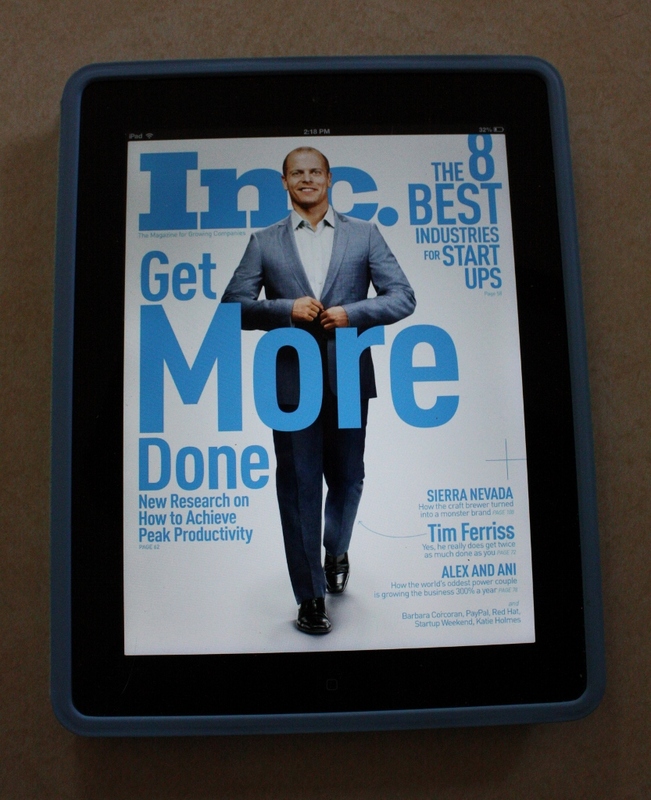 Advertise in a popular digital magazine! This also reinforces our Two Sides position that print and digital media can co-exist and have many synergies. Inc. magazine’s digital edition recently featured this ad – one of several designed for the Two Sides No Wonder You Love Paper ad campaign. Created to reinforce printed magazines and newspapers as an appealing and sustainable way to read, the ads feature people enjoying magazines for education, business, play and relaxation in their daily lives. The campaign also features a companion consumer website, http://www.youlovepaper.info/US/ with fun activities like the Environmental Guru Quiz and a video contest. There’s also a downloadable Paper Myths and Facts brochure and a short, animated video on U.S. forest and paper facts. Two Sides is seeking free advertising space in U.S. newspapers and magazines to appear over the next year, so be on the lookout for more to come! Any publication interested in donating ad space should contact Phil Riebel at pnr@twosides.us or (855) 896-7433 (toll free).